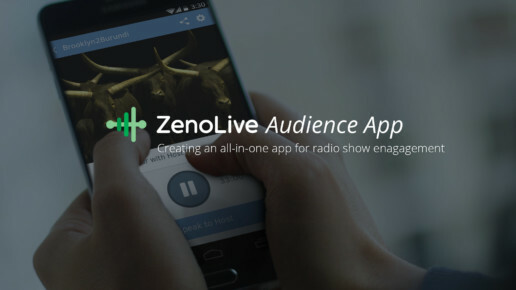 ZenoRadio provides tools both for broadcasters to produce a radio show and for listeners to engage with those radio programs. 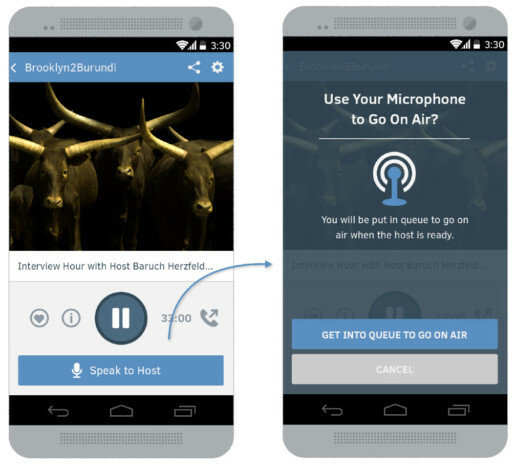 The initial white label Android app provides new ways for a radio show audience to engage with the content. 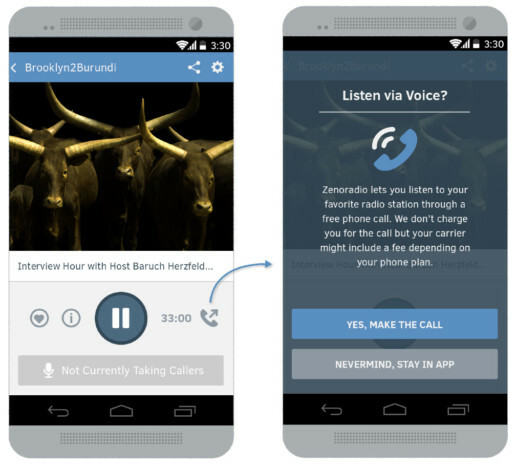 The app blends the ability to ‘call-in’ to a show with listening capabilities so there’s no awkward toggle between devices to speak to the host. I worked closely with the technical and marketing teams to provide wireframes, UI mocks, interactive prototypes and UI patterns. I performed field studies and evaluative testing with users. I also collaborated with off-site developers to ensure that the shipped product matched user needs. Most people are used to listening to programming on their radio or computer and then grabbing their phone when their ready to call in. But the audience app lets listeners call in while listening so they can stay tuned-in while in queue. They can also see where they are in line. Another unique feature of the audience app is that users are able to listen to content via data or voice. Users are familiar with data listening and so after hallway usability testing and technical constraints, we settled on giving voice listening secondary prominence for advanced users. 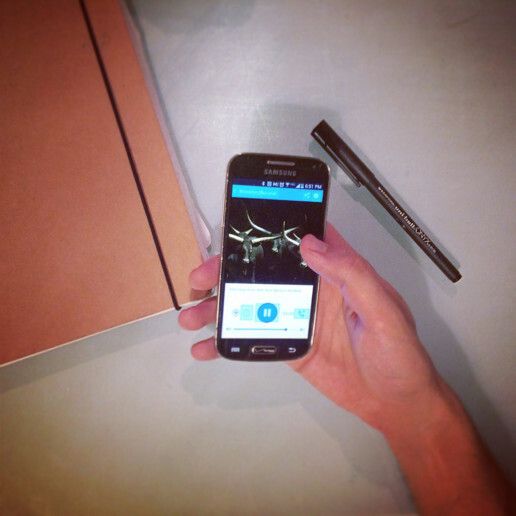 Particular attention was paid to the interaction with voice and data listening. Since this is an unfamiliar feature for many listeners, I was able to do some quick hallway user testing with in-house broadcasters. It quickly became clear that text-only links would not work as we had a strong international customer base and many did not speak English. 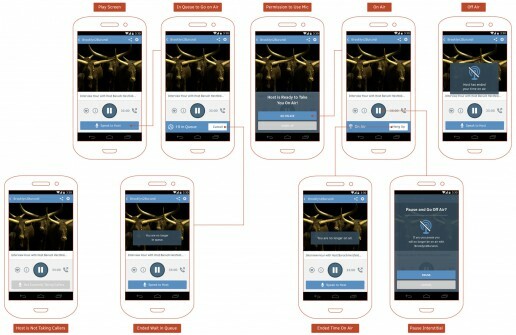 Live prototypes helped validate assumptions about the micro-interactions in the app.